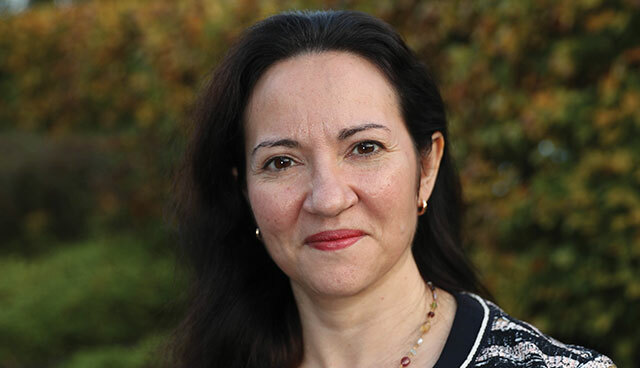 The University of Birmingham’s Raquel Ortega-Argilés outlines research into the economic exposure to Brexit for the EU and UK’s nations and regions. Since the UK referendum took place there has been a growing body of literature focusing on the reasons of the vote but relatively fewer pieces of research regarding the long-term consequences of the UK’s decision to leave the EU. Moreover, almost all such research analyses the economic impacts of leaving the EU on the UK as a whole, on The City or on the devolved administrations (the four nations of the UK) whereas the economic impacts are likely to be more complex and differentiated at the level of the UK’s sectors and regions. Indeed, it is these differentiated impacts which together produce the national impact – the UK’s national economic performance is shaped by different economic behaviour and performance of its sectors, regions and cities. As such, understanding the national economic impacts of Brexit, and also potentially mitigating any adverse impacts at the local level via specific policies, therefore also requires a detailed understanding of the impacts of Brexit on the UK’s sectors and regions. EU trade is the larger, responsible for the major volume of trade in the UK. EU trade accounts for 9.75 per cent of UK’s GDP and 10.5 per cent of UK’s GNP (data from 2011). Our results also show that more than 90 per cent of the UK’s 37 NUTS2 regions have become more dependent on EU markets since the Millennium, while London has become less dependent and this EU regional market dependence in manufacturing and services is closely correlated (excluding the case of London). Following this argument, our research studies the degree to which EU regions and countries are exposed to negative trade-related consequences of Brexit, via an analysis of the nature and scale of their trade relationships. We quantify the shares of regional and national GDP and labour income (in the EU and in the UK) that are at risk due to Brexit. As pointed out before and given the different effects, we analyse the heterogeneity of these consequences at the regional and sectoral levels. Finally, going beyond pure exports and imports data, our analysis incorporates the effects due to geographically fragmented production processes within the UK, the EU and beyond. With this analysis we are in the position to account for which shares of regional labour income and regional GDP are at risk as a consequence of future Brexit related trade barriers. Is this not the same as which shares of regional labour income and GDP will be lost as a consequence of Brexit? We cannot answer this as we do not know the ultimate outcome of the negotiations, or the strength of interregional and international trade substitution patterns. However, what we can show is the scale of the economic restructuring and realignment required by each region to mitigate the effects of Brexit. In order to do this we use the most detailed regional-national-international trade and competition datasets currently available anywhere in the world. The 2013 World Input Output Database covering 40 countries, 14 sectors and 10 years of trade-GDP demand relationships and the 2016 EU interregional trade datasets covering 14 sectors and 245 EU regions. These data allow for the UK regional trade behaviour which is mediated by global value chains, whereby goods and services crisscross borders multiple times before being finally consumed by households and firms. We are then able to compute the difference between actual GDP and GDP without these UK-EU interregional trade relationships (in the event of a ‘no deal’ scenario or a chaotic Brexit) as this also allows us to calculate the UK’s genuine value added in exports (and therefore the real impact of trade losses on the UK economy), something which cannot be done using simple measures of gross exports and imports. Our results show that 2.64 per cent of EU GDP is at risk because of Brexit trade related consequences. In the UK, the Brexit trade related consequences account for 12.2 per cent of its GDP. The highest levels of regional GDP exposure to Brexit in the UK are found in many of the UK’s non-core regions in the Midlands and in the North of England. London and northern Scottish regions have exposure levels which are much lower, although they are still higher than for regions outside the UK. Outside the UK, the Irish regions are the ones which are as exposed to Brexit as the least exposed UK regions, with regions in other EU countries experiencing much lower levels of risk exposure. Indeed, more than two thirds of the EU member states and regions have Brexit exposure levels which are less than 1 per cent of their GDP. In terms of regional labour income the results are very similar as the GDP risk levels. A notable exception is the case of the Irish regions where labour income levels are 2.5 per cent points below the GDP exposure levels due to the strong presence of Foreign Direct Investment and its related activities, which have a much higher capital income to labour income ratio than regular activities. Finally, for the case of Northern Ireland, our results show that 10.6 per cent of regional labour income is exposed to Brexit and 11.7 per cent of regional GDP, figures which are slightly higher than the exposure levels in the regions in the Republic of Ireland. In terms of Northern Ireland’s individual sectors, manufacturing and primary industries are the sectors most affected accounting for 32.8 per cent and 18.5 per cent of Brexit exposed regional labour income and 32.0 per cent and 19.1 per cent of regional GDP, respectively. These results reported here are part of a much bigger research project funded by the UK’s Economic and Social Research Council looking at the Economic Consequences of Brexit on the UK, its regions, its sectors and its cities. This project is part of the umbrella initiative The UK in a Changing Europe. The project is coordinated by City-REDI Institute at the University of Birmingham and involves participation from University of Sheffield, University of Groningen, University of Rotterdam and the PBL Dutch Environmental Agency in the Hague. Our project analyses the economic impacts of Brexit examining four main issues, namely: (1) the long-term nature of the UK’s post-Brexit trade agreements with both the EU and the WTO; (2) the regional industrial and trading structures; (3) the impacts of Brexit on both the national and regional competitive positioning including that of both the UK and the individual regions’ competitor regions; (4) the changes in local development policy and governance settings induced by leaving the EU. Report authors: Wen Chen, Bart Los, Philip McCann, Raquel Ortega-Argilés, Mark Thissen and Frank van Oort.